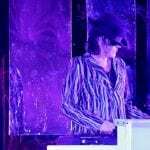 Background/Info: Belgian musician Marc Debroey has been involved with music since the 80s. He dealt with different music genres and now strikes back after a hiatus of several years with a new and pure electro-ambient project. The title and front cover of the album both clearly indicate a fascination for space and more precisely the legendary Apollo 11 mission, which entered into history as the ‘first man on the moon’. This album is a new chapter in the label series ‘Belgian NeuMusik’. Content: Ambient music and space are good old mates and that‘s precisely what Sebastopol stands for. Pure vintage, analogue electronics have been mixed with a few spoken samplings related to the main subject of the work. A few acoustic sounds like piano and violin have been added as well, but the main source of inspiration remains good-old ambient stuff. I also noticed a few more minimal-like passages joined by deep resonating bass lines. + + + : If you like electro-ambient music in the good-old tradition of the genre, which often reminds to electronic pioneers, this album definitely has a lot to offer. You feel yourself transposed into an endless and unknown space where the stars and unknown planets become your best friends. “The Landing, 11” has a strong visual appeal, but it first of all is a relaxing experience accomplished with vintage sound treatments. The music totally fits with the concept. – – – : Sebastopol is not reinventing a genre, which in the past has been mainly characterized by similar productions. I more get the impression this is the work of a musician who just wanted to exorcise some ideas he had in mind for years. It’s well-crafted, old-styled and definitely not into innovation. 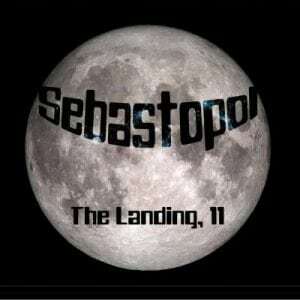 Conclusion: “The Landing, 11” is an album that will mainly appeal for lovers of early electronic experiments and ambient music. It’s not setting the world alight and just appears to be a sonic flashback. Best songs: “First Waltz On The Moon”, “Orbit”.